Hey guys it’s Sam, and I’ve decided to host an award show. You’re probably rolling on the floor laughing out loud (ROTFLOL), asking yourself, “How can this little kid host such a big show?” Well, it’s your votes that count, and the nominee with the most votes wins a nice Sammwak Award! 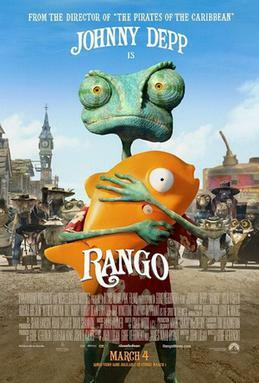 Don’t tango with Rango. Gore Verbinski’s spaghetti Western comedy follows the chameleon Rango as he stumbles off his owner’s car and into the lawless Old Western town of Dirt. He carries zeal to become the new sheriff and the first good guy upon Dirt’s graveyard full of them. It just came out on DVD and Blu-Ray, it had its debut release on March 4 by Paramount, almost 2 weeks before St. Patrick’s Day. And good luck it did get with nonstop critical praise, and a #2 rank on Charter On Demand. Can Rango tango down with a nice golden Sammwak Award? Feeling despicable? The director’s team of Pierre Coffin and Chris Renaud was too, so they drank from a rusty bucket of water, and thus created Despicable Me. Universal Pictures is behind this 3D adventure, as Gru, the second-most evil super villain (behind Vector, the villain with magnitude) inherits three orphaned girls as pawns for his crime of the century…stealing the moon. But he finds out that their love for him is profoundly changing him, much to his partner’s (Dr. Nefario) dismay. He’s stuck with the decision between staying super bad, or becoming a super dad. What’s really super is how much success it got, critical and in the box office. Coughing up more than $530 million, as well as 2011 KCA, can Gru get the final inspiration to finish that shrink ray with a shiny golden Sammwak Award? This is the final challenge. The biggest of all. This is the movie that beat out Rango as the #1 title on Charter On Demand. It is…Rio. We haven’t had much animal comedies with much music, but 20th Century Fox brought back what we needed for sure. 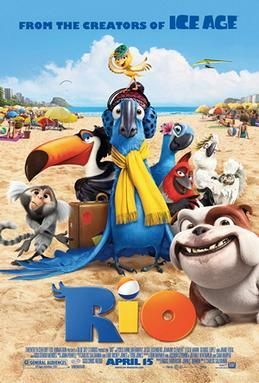 The movie tells the story of the blue macaw Blu, shipped to Rio de Janeiro to mate with a female. That female does turn out to be the bird of his dreams, Jewel. This mating duo works together to escape from the smuggling clutches of the cockatoo Nigel. But you know what they couldn’t escape…success. It was a bomb that blew up so far, they needed to make an app with the Angry Birds! (the chronological third, behind Seasons and the original) But can it fly far enough to catch a Sammwak Award on its path? Those are your three choices of the best animated movie. 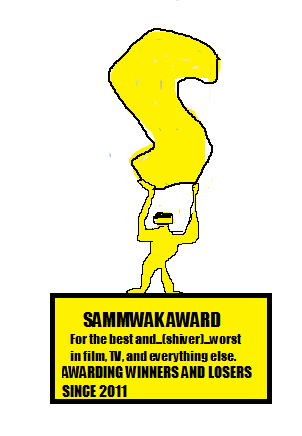 Vote, vote, vote, and whoever gets the most votes wins a Sammwak Award! Start voting…now! p.s. Toy Story 3 is also a nominee, but the stupid Poll-daddy mechanics wouldn’t let me in on a fourth pick. You can also vote for TS3 if you want, as well as others you enjoy. Just a clarification.